Take a look a the original sketches for these rooms and what they have evolved into now. The original sketches were nice, but the updates look great! Thanks man. I'll make sure to pass along the compliments. I want to show you guys all the progress I've been making on getting things going but I think I'll save that those for the demo to come later. 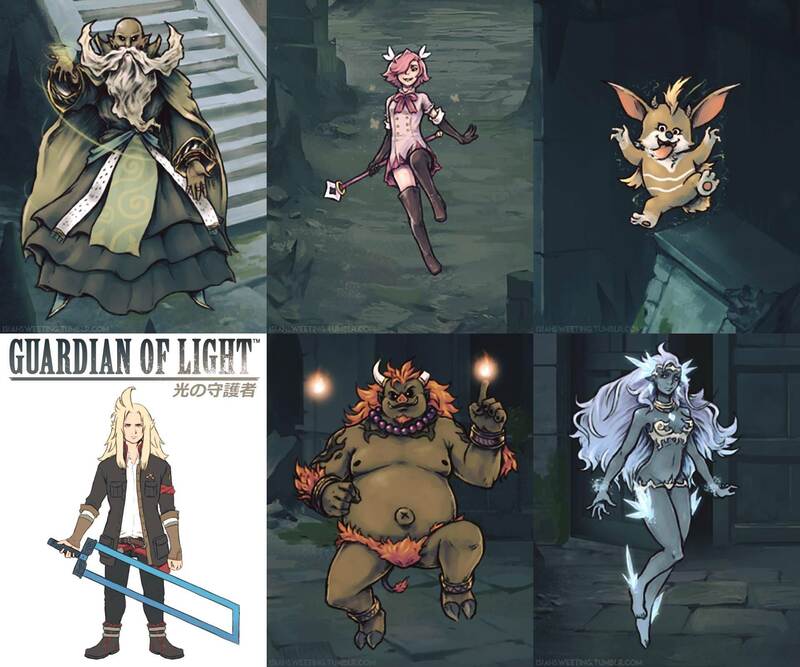 However, I will share with you guys this picture of the 5 out 15 summons in the game. The summons, if I hadn't stated before, play a supporting role in and outside of battle on Kaito's adventure. You'll learn more about them when you get to play but for now I give this picture of these few characters.